Uh-oh. Please take out your official Star Wars: Episode VII Salt Lick, but now that it's been officially revealed that Harrison Ford's leg is broken, the rumor is he'll be sidelined for six full months — which means the movie's either getting delayed or massively rewritten. The potential news comes from the UK-based site Jedi News, who says sources told them of an emergency meeting ay Pinewood Studios this morning to discuss how to handle Ford's sudden unavailability. Since Ford's Han Solo is reportedly the film's lead, the only way to make its Christmas 2015 release date — which Disney has refused to move before — is to rewrite Ford's scenes, or rewrite the script entirely. Assuming Ford is indeed the main character (which is itself a no-brainer), I honestly don't know how this rumor isn't true. Unless the script has Han Solo sitting down most of the time, something will need to change to accommodate Ford's injury, and that's either the script or the release date. 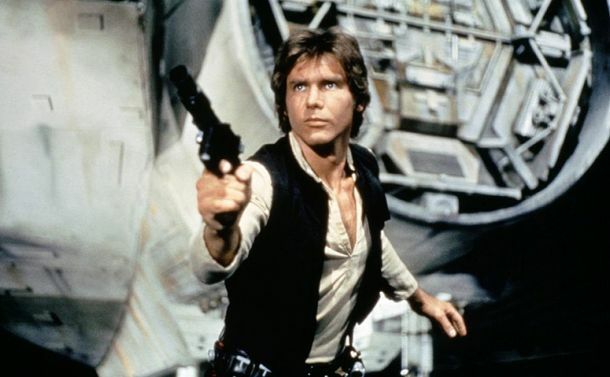 The question is whether Disney would rather take the gamble on a Harrison Ford-light Episode VII movie in December '15, or whether Disney's shareholders and quarterly profit predictions and whatnot have the capacity to be patient.